Portable industrial vacuum cleaners are not to be confused with domestic vacuum cleaners, which are portable but can only do surface level or just below the surface level work. Instead, portable industrial vacuum cleaners focus on severe duty applications. 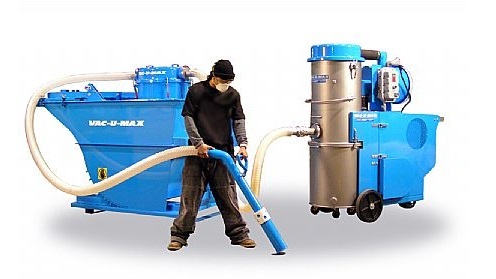 Examples of portable industrial vacuum applications include: post-disaster cleanup (fire, flood, etc. ), cleanroom maintenance, post-manufacturing cleanup (blasting, welding, concrete grinding, metal grinding, carbon machining, etc. ), waste collection for recycling and hazardous dust collection. Portable industrial vacuums offer a host of benefits. Most obviously, they can go places where centralized vacuum systems cannot, including remote locations. Likewise, they are adaptable and can be adjusted or updated with new attachments for new applications. Third, if something goes wrong, you can more easily get portable vacuums serviced than stationary ones. Furthermore, you can easily swap one machine out for another while it is getting fixed. You cannot do this with stationary vacuum systems. Finally, portable industrial vacuums are durable and long lasting.